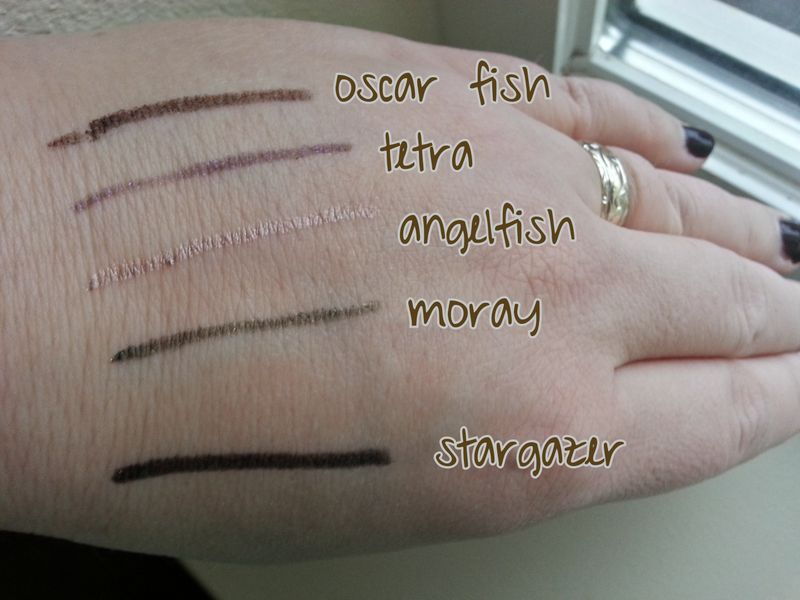 Stila Smudge Sticks are the best eyeliners EVARRRRRRR. I got one in a subscription box months ago, and love it. I use it more than any other of my dozens of eyeliners. But unfortunately, they are quite expensive! They are currently selling for $20 apiece on Amazon, and I think that's a normal price from what I have seen. 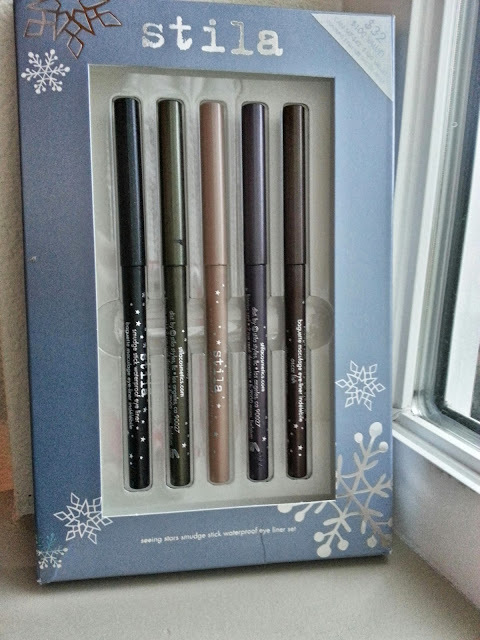 I remembered seeing a 5-piece set for the holidays last year, but missed out on it, so I was super excited to see it come back on Hautelook, which often has killer beauty deals. The five color names are listed on the photo, and basically I got four basics and one fun color. From the top, they are brown, plum, gold, olive green and black. They go on so smooth (the swatch is just one swipe with no extra blending or smudging) and you can smudge them out to make a more smoky look. They are waterproof, stay on all day, but come off nicely with makeup remover. And bonus- I didn't get a dupe of the one I already have, which is Lionfish - also brown but a different shade. I'm excited to try the gold one too- using light colors under your eyes or in the corner is a good way to brighten your eyes and make them look bigger. 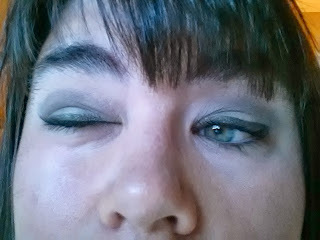 I did a makeup look with Moray, the olive green. I have on a few shades of olive green makeup with it. The lighting in this photo is not great- this is how Seattle does "natural light" in the fall. So the color might not be true in this photo, but you can see how nicely it went on and the great line it makes. Have you ever tried Stila Smudge Sticks? What did you think?